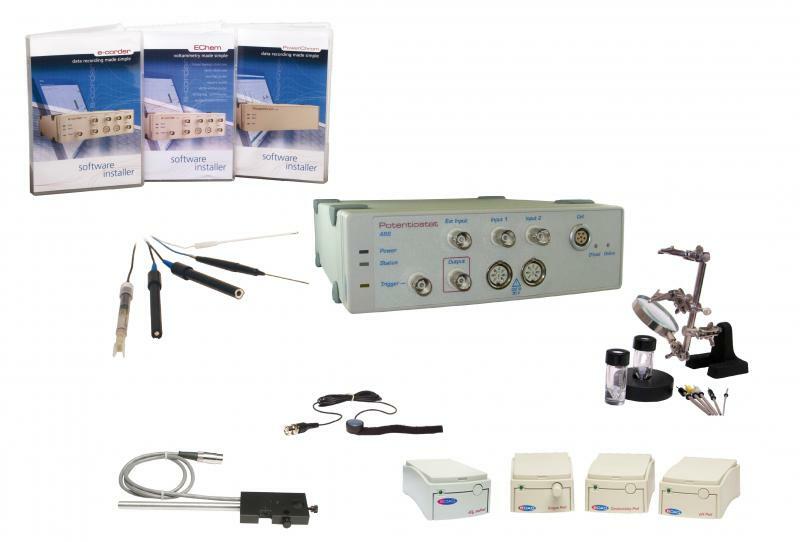 This kit includes all the hardware*, software, electrodes and transducers required to quickly develop a wide range of exciting experiments for chemistry and biochemistry laboratory courses. See our Teaching Applications page for examples of the types of experiments that can be performed with the eDAQ Mega Teaching Kit. Note that this kit supersedes ER462.